These kits are processed all year round at Veg Pro International's facility located in Sherrington, Quebec, Canada. 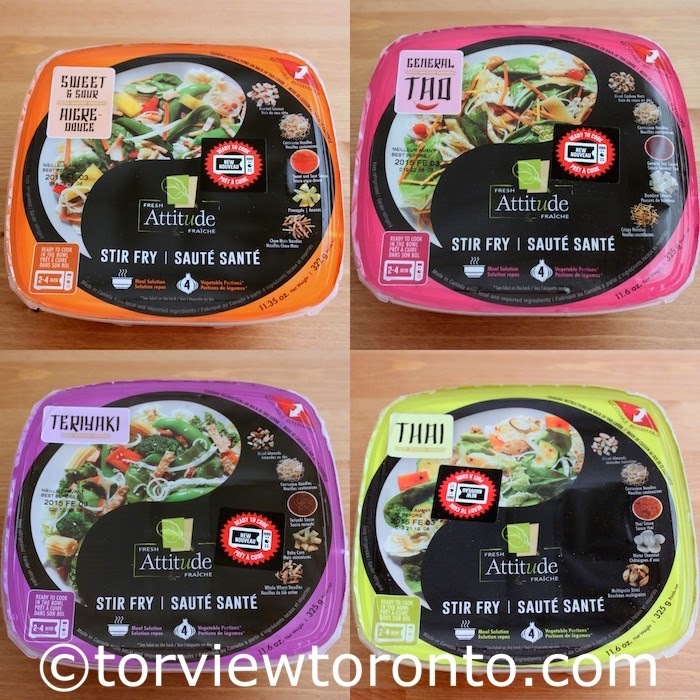 The vegetables they use in the packages are grown in Quebec and Florida, and other ingredients that are in the package are from other trusted suppliers. These convenient, crunchy and tasty Stir Fries are a wonderful way to connect with healthy eating habits. I like that the combination of vegetable, nuts and flavours used in the package has iron-rich vegetables, and provide us with different sources of vitamins A and C.
These products can be found in the refrigerated produce section of key grocery chains in Ontario and Quebec, including Sobeys, Foodland, Urban, IGA, Metro and Super C. Available in four delicious Asian-inspired flavours, Teriyaki, Sweet and Sour, Thai and General Tao. All the four flavours have an unique taste. Our favourite is the sweet and sour flavour that has a fruity and slightly tart taste with a combination of Napa cabbage, spinach, onions, carrots, sweet red bell peppers, sugar snap peas, Cantonese noodles, roasted coconut, pineapple, Chow Mein noodles, gourmet sweet and sour sauce. I have not seen these ones yet! Love learning about new products!